Did You Know? In keeping with the tone of the picture, John Ford had all makeup and perfume banned from the set. Quotables: CASY: I wouldn’t pray for a old man that’s dead, ’cause he’s all right. If I was to pray, I’d pray for folks that’s alive and don’t know which way to turn. 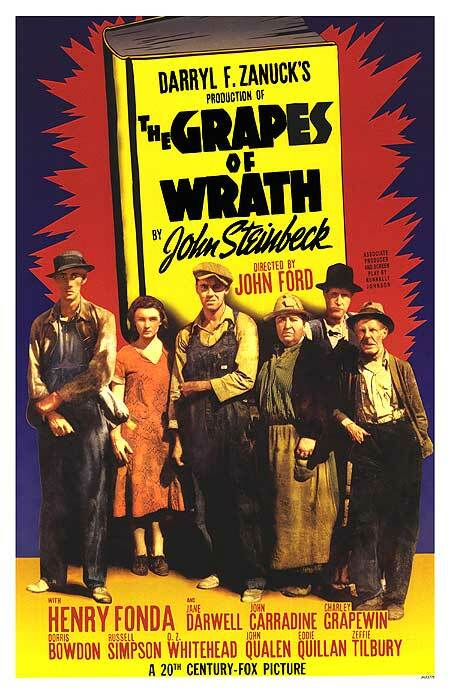 Chronicling the misfortunes of a poor family trying to make ends meet during the Great Depression, this is one of the saddest movies I’ve ever seen, because it’s still pertinent to this day. We might be above where we were then, but we still have people struggling to make a living, struggling to survive. We still have cruel people in power, too greedy to dig deeper into their pockets and pay their employees a living wage. And the scavengers are too afraid to take a stand against the predators, because they have to eat.